This advanced formula provides time-released nitrogen in a multi-nutrient organic fertilizer. Blue N is specially formulated for crops that require more nitrogen when manures and legume rotations are used minimally. When broadcast and plowed under or worked into the soil, Blue N maximizes growth and finishes strong. If the soil's phosphorous levels are low, a starter fertilizer should be used in conjunction with this product. Typical analysis: 5-1-1. 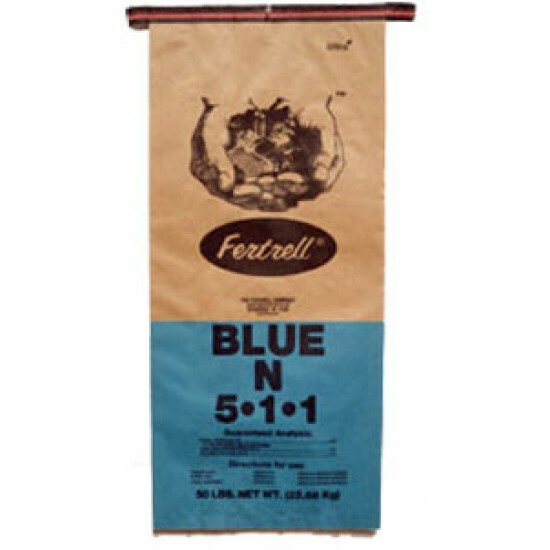 Product Code: Fertrell Blue N 5-1-1, 50 lb. 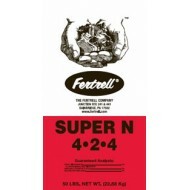 SKU: Fertrell Blue N 5-1-1, 50 lb. Super K 3-4-7 is an organic fertilizer formulated for use on garden vegetables to meet the increased requirement for potassium. 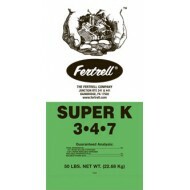 Fertrell Super K 3-4-7..